SMALL BUSINESS COACHING FOR CREATIVE ENTREPRENEURS — LAS VEGAS FASHION AND LIFESTYLE BLOG FILLED WITH BUSINESS AND COLORFUL STYLE TIPS! Learn what it takes to thrive and succeed in your creative business! ARE YOU READY TO BUILD YOUR BUSINESS LIKE A BOSS? 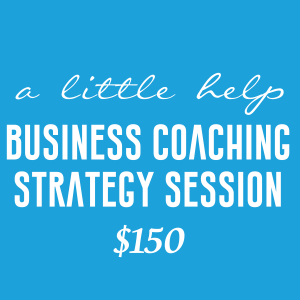 This 1 on 1, business coaching session is ideal for creative entrepreneurs or small business owners and will clarify your next steps in the success of your business. My goal is to help elevate you and your brand. We will work through any hang ups you have, make a plan of action while instilling a bit more confidence in you, to become the boss babe or badass that you are. If you’ve discussed your business ideas with a friend or family member that isn’t a savvy entrepreneur like yourself, they might have either tried to steer you back in the direction of that nasty 9-5 or not really been able to support you in the way that you need to be. Sound familiar? This is pretty common in the world of entrepreneurship. It's important to surround yourself with the right people and mentors that will lift you and be able to support you in the way you need. With over 20 years experience as an entrepreneur, I know what it takes to get your business off the ground or make adjustments as needed. I've successfully led new businesses to national fame and recognition, while also influencing extensive growth of other well-known corporations. If you are seeking advice on where to start, what to do next, what marketing strategies to use or how to launch your product in front of the right audience, you've made it to the right place. Let's get you inspired again and back on track to the path of success! I only succeed, when you succeed. For more services such as: branding, digital strategy, social media marketing, please visit Realm Media Group and fill out this form to receive a free consultation.